Tempting Smoker Recipes For Delicious Smoked Foods... Every Time! Are you craving some variety? Searching for superior flavor? The smoker recipes on this page will satisfy those desires and give you much, much more. You'll discover new ways to season up your favorite meats, and pick up some tips that you'll use time and time again. This is a recipe source for foods of every category. You'll be enjoying succulent smoked briskets, mouthwatering ribs, smoky whole turkeys and healthy salmon. A juicy, tender whole smoked chicken fresh from the smoker can't be beat! And the smoker recipes for side dishes, veggies, snacks and appetizers will round out your menu. These smoker recipes make use of standard United States measurements. The avoirdupois system (16 ounces per pound) is used for weights, and U.S. customary units are used for volume measurements. Most of the ingredients here are measured by volume, but you will come across an occasional call for liquid measured in ounces. Dry Ounces vs Fluid Ounces - What's the Difference? A dry ounce is a measurement of weight, used for measuring dry ingredients. You measure dry ounces with a kitchen scale. But a fluid ounce is a measurement of volume. Fluid ounces cannot be measured with scales. If you're not already aware of this, it can seem confusing. Back in ye olde days, a fluid ounce was determined to be 1/128 of a gallon of water, which amounts to two tablespoons. And two tablespoons, one fluid ounce, of water does in fact weigh almost exactly one ounce. But when measuring out one fluid ounce of something other than water, it won't necessarily weigh one ounce. One fluid ounce of olive oil (two tablespoons) weighs less than an ounce. One fluid ounce of honey weighs nearly 1.4 ounces. Bottom line, when smoker recipes call for ounces of a liquid ingredient (and not fluid ounces, or fl.oz), it's meant to be measured as a fluid ounce. Not weighed. Measure it by the tablespoon (1/2 fluid ounce per tablespoon) for small amounts, and use a measuring cup for larger amounts, preferably a wet measuring cup. 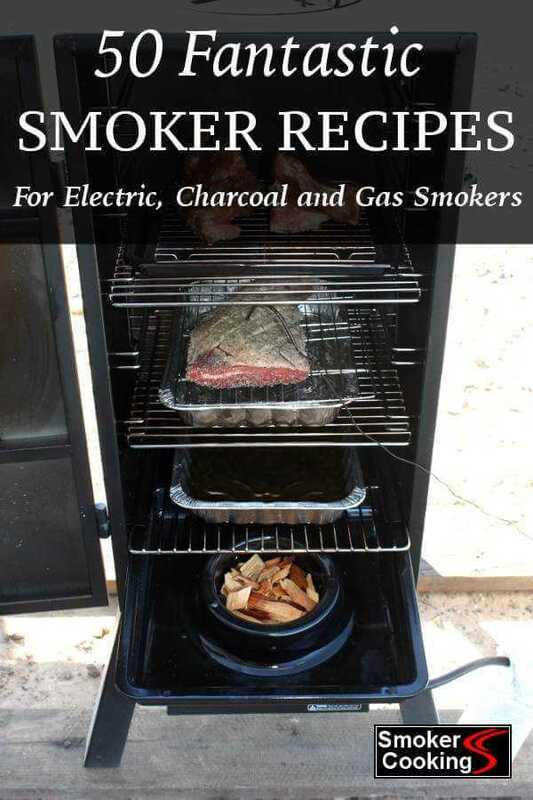 Many of the smoker recipes include directions on how the smoker is used with that particular recipe. If not, you'll find a link to another page that will give you some direction. Most of these smoker recipes will mention the preferred type of wood to use, but if there's no mention of a wood, use your best judgement. Most types of smoker woods will work with anything as long as you don't apply too much. 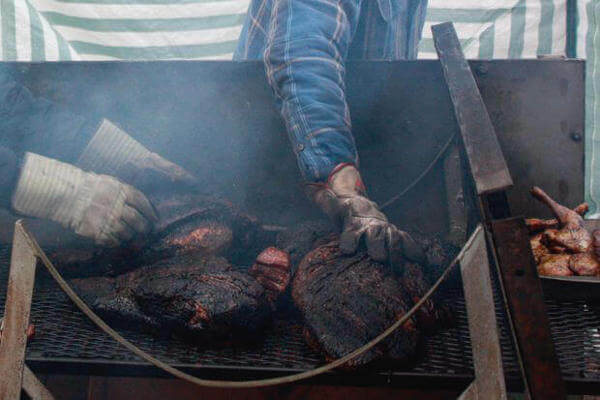 Briskets are beautiful, I do not joke. To give one great flavor, kiss it with smoke. I know, I know. Electric smokers don't give meats the flavor you get when gettin' the heat from burning wood or charcoal, but they are really convenient. My inexpensive Masterbuilt does a pretty good job with anything I throw in it, and it's a lot cheaper to operate - charcoal can be expensive! This selection of smoker recipes I've tried were successes that I'll enjoy more that once.